Jean Paul Gaultier Le Male Essence De Parfum Eau De Parfum Intense Natural Spray For Men Full Size 125 mL / 4.2 FL.OZ. Made in Spain. Factory Sealed. Brand New In Metal Jar. 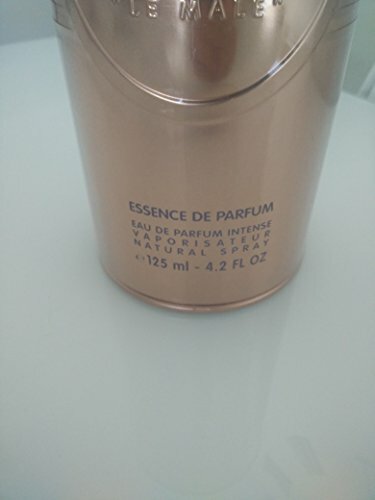 UPC: 8435415000987 Essence de Parfum undresses the classic Le Male. At the top, a delicate note of cardamom combines with fresh citrus in a bright fusion. The heart of lavender and leather creates a sensual feel. And finally, precious woods and costus root make up the warm base notes for a modern, masculine scent. Top notes: bergamot, cardamom, georgywood. Middle notes: osmanthus, leather. Base notes: vanilla, tonka. Full Size 125 mL / 4.2 FL.OZ. Made in Spain.